The Burton Scribe Re:Flex women’s snowboard binding offers a multi-talented package for all-terrain fun no matter your style. On the hi-back, the Burton Living Hinge system sheds weight while allowing you to independently adjust your forward lean and rotation, and the ergonomic canted design follows the natural contours of each leg for supreme comfort. The comfort-centric Reactstrap cradles your boot in place and the Re:Flex FullBED cushioning system ensures the ride is smooth and surefooted, with extra baseplate dampening for good measure. Pictured is the Maliblue style. 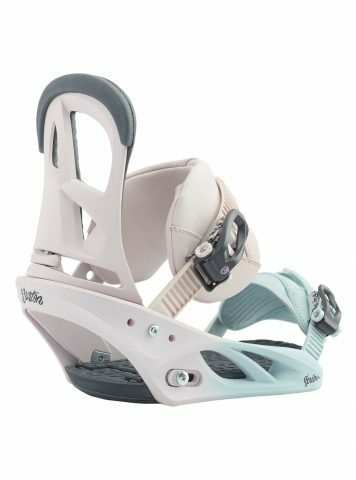 The BURTON Scribe Re:Flex Women’s Snowboard Binding 2019 is available to shop here.